The four-story brick building, facing Broadway between 9th and 10th, was completed August 1, 1888 on seven acres on the West Side of Grand Rapids. 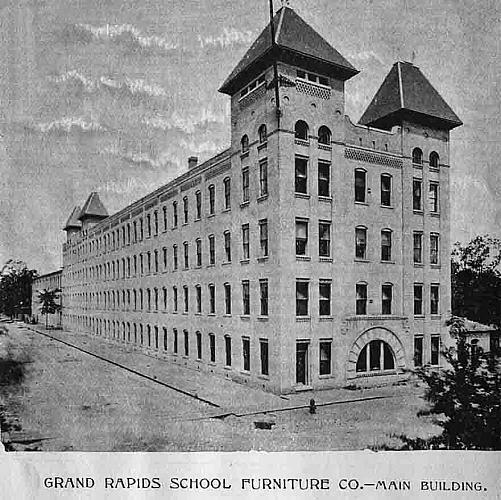 The Grand Rapids School Furniture Co. merged with eighteen other school, church, and seating manufacturers in 1899 to form the American School Furniture Company, headquartered in New York. The name changed to American Seating Company in 1906, and offices moved to Chicago. 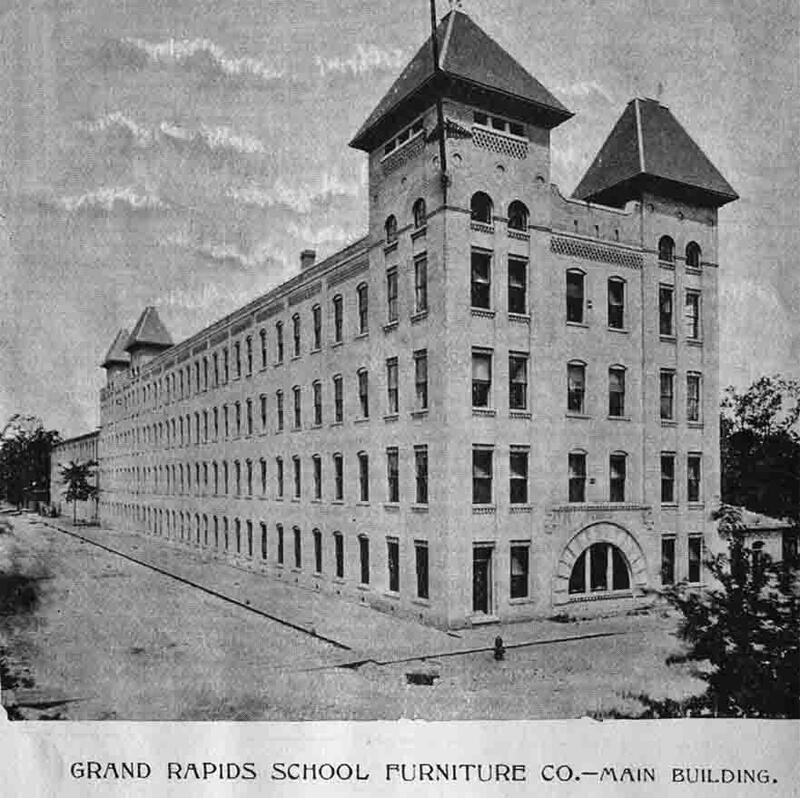 In 1931 offices moved to Grand Rapids.